Home / Bryan Gable / Up to Speed: Another Season on the Bubble for Daniel Suarez? 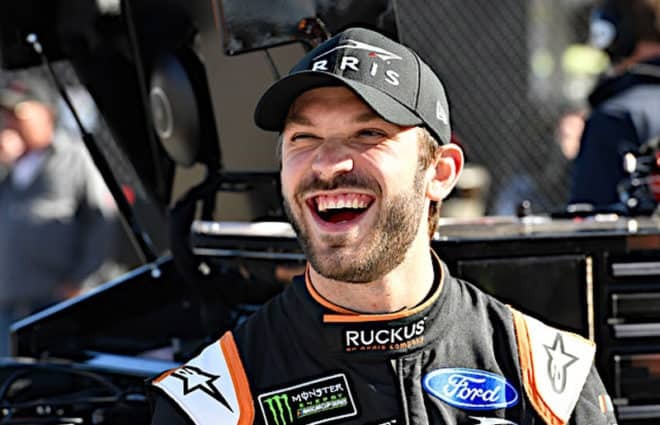 Daniel Suarez enjoyed one of the best runs of his 2019 Monster Energy NASCAR Cup Series season Sunday (March 24) at Martinsville Speedway. In his sixth start driving the Stewart-Haas Racing No. 41, he took the checkered flag in 10th after a long afternoon of short track racing. Suarez’s second top 10 of the season allowed him to climb to 16th in points. While there is a long way to go until the playoff field is set, the battle to be in one of the last few qualifying spots is tight. Suarez holds that final position by a single point over Alex Bowman. Austin Dillon is three points behind Bowman in 18th. In 15th is Jimmie Johnson, who had a shockingly poor performance at a Martinsville track he used to dominate. Johnson has scored the same amount of points as Suarez thus far but breaks the tie based on having a superior best finish (eighth to Suarez’s 10th). Erik Jones, who also struggled on Sunday, is six points ahead of Johnson and Suarez. If that group of bubble drivers sounds familiar, it’s because many of them were in a similar position throughout last year. Following last year’s spring race at Martinsville, Johnson was 17th in points, the first driver below the cutoff. Neither he nor Bowman (14th last year) won a race all season. Instead, they spent the weeks leading up to the NASCAR playoffs clinging to the last two transfer spots. Both drivers ultimately made it in. The others used their wins to lock down a spot. Dillon had already captured the Daytona 500 earlier in the season and was in good shape for the playoffs. Meanwhile, Jones hovered near the bubble until getting a win of his own at Daytona last July. The biggest difference between this group is Suarez. After a rough start to 2018, he left Martinsville 22nd in the standings. In the next race, held at Texas Motor Speedway, an early accident ruined his day and he lost another four points positions. 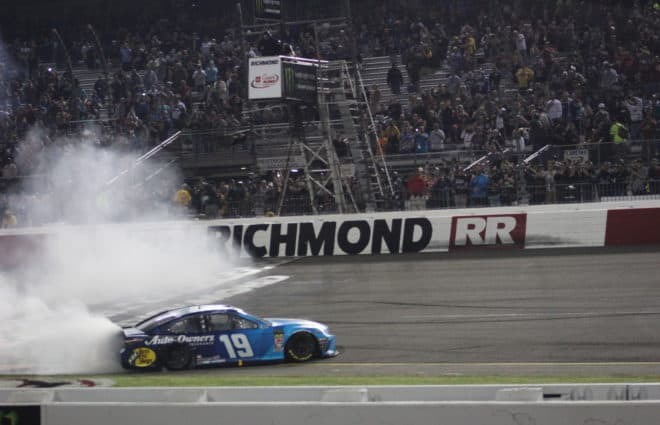 Compared to his teammates at Joe Gibbs Racing, Suarez was off the mark, and the No. 19 was forced to play catch-up throughout the regular season. There were signs Suarez could climb into playoff contention as the year went on. A top-five finish at Dover International Speedway served as a temporary boost. 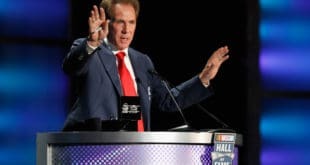 However, NASCAR issued a penalty against the No. 19 team later that week after finding the car’s rear window was improperly installed. Losing 20 points was a tough break in Suarez’s fight to reach the postseason. A few months later at Pocono Raceway, Suarez had his best performance of the year. 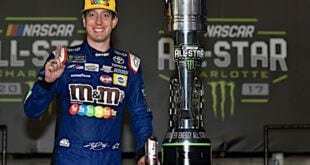 Running second to JGR teammate Kyle Busch in the closing laps, Suarez caught a break when Bubba Wallace crashed hard in Turn 1, setting up an overtime restart. Suarez had a chance to steal a win that would have effectively locked him into the playoffs. On the restart, he surged ahead of Busch momentarily, but Busch made the decisive pass after going three-wide with Suarez and Jones into the first turn. Suarez still held on to finish second. He maintained a high level of confidence in his team, especially after another top-five finish at Watkins Glen. But it was all too little, too late in the end. 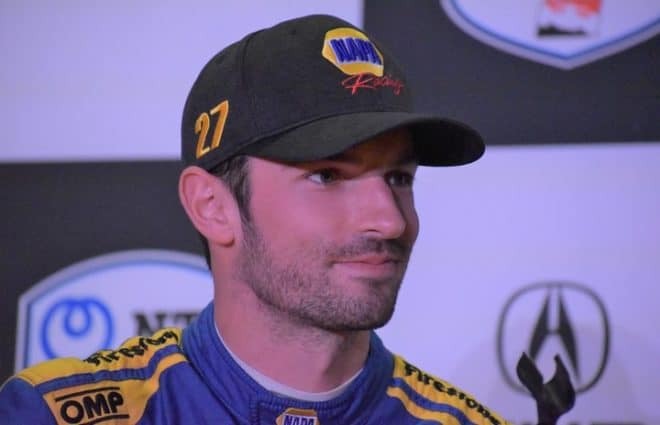 Suarez missed the playoffs and was ultimately released from JGR to make way for Martin Truex Jr.
For 2019, Suarez has a new home with SHR and a second chance at Cup Series success. There is no denying that his Arris sponsorship played a key role in him landing the No. 41. 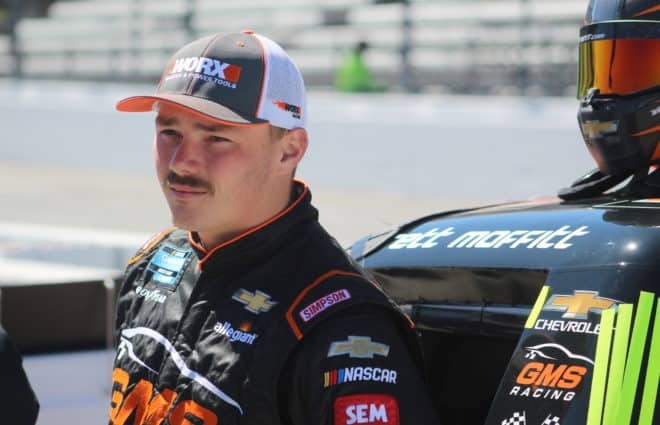 But Suarez is also a Xfinity Series champion who could grow into a contender for wins with the right opportunity. Just ask his new teammate Aric Almirola how much having a strong team can change the course of a career. It could also be Suarez was brought up too quickly and struggled to fit into JGR’s system. Joey Logano’s ascendance has demonstrated leaving the JGR fold is not the end of the world if you can hook up with another good team. The jury’s still out on whether SHR and Suarez will be a good fit. 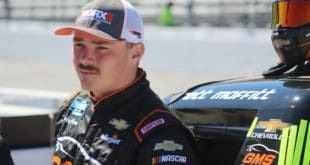 So far, his only highlights this season have been some impressive moves in the Daytona 500 qualifying races and a pit road scuffle with Michael McDowell. Overall, he once again looks to be a step behind his teammates at present. Even after a respectable run at Martinsville, he had to endure, well, whatever this incident was. But there are reasons to be optimistic about Suarez’s playoff hopes this season. He is already ahead of where he was a year ago points-wise, even after moving to a new team. Crew chief Billy Scott and the No. 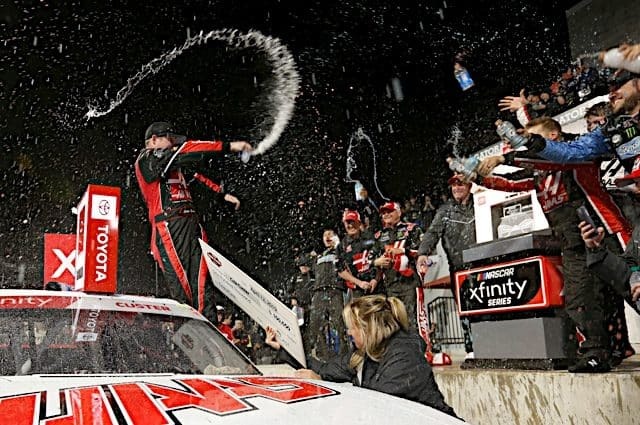 41 bunch won a race and made the playoffs with Kurt Busch in 2018. Stewart-Haas Racing also often looked like the best team in NASCAR last year, winning 12 races in total. This season, no SHR driver has scored a victory yet, but Almirola and Kevin Harvick have both finished inside the top 10 for five weeks straight. Even if this season has been about Joe Gibbs Racing and Team Penske, SHR is not far behind. If Suarez can put together a few more good finishes, collecting some stage points along the way, he will not have to dig out of a hole like last year. Instead, he may find himself playing jump rope with the playoff cut line. But that is still better than his predicament late last summer, when even top fives really were not good enough to close the points gap. Of course, a win would fix everything and prevent Suarez from experiencing another season on the bubble. 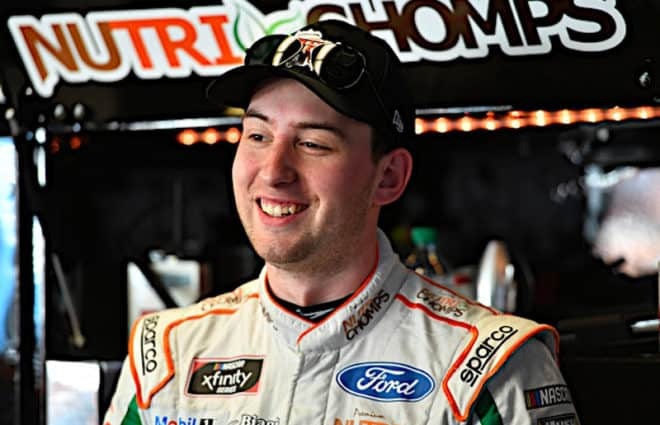 Will SHR be the second chapter in the story of Suarez’s struggles in the Cup Series? Or is he writing a whole new book with new success stories? Only time will tell. Certainly the best of the young, I bring a sponsor, guys. That seems to be what NA$CAR is evolving into. I really like Suarez. I think he is a great student of the sport and is always working on improving. He is talented and just needs a little more time to become competitive. It takes time for a cup driver to mature; don’t write him off too quickly.